Who is Dr. Jean? 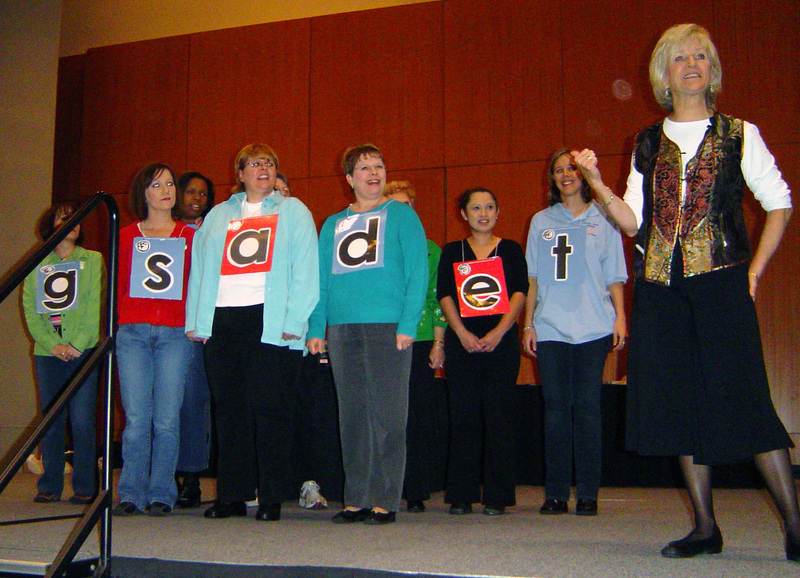 Dr. Jean holds a Ph.D. from Georgia State University and is a nationally known early childhood presenter, author, recording artist, and teacher. What can I expect from her presentations and workshops? You do not want to miss the opportunity to see Dr. Jean in person. She has an energetic and enthusiastic presence on stage that captivates the audience and has them on their feet singing and dancing from the very first minute. Seeing Dr. Jean live has a rejuvenating affect on teachers everywhere. When the day is over your head will be spinning from all the ideas you will be itching to implement in your classroom tomorrow! What can I expect from her music CD’s? Incorporating Dr. Jean’s music into my classroom was the best thing I have ever done in my teaching career to date. Her songs are easy to sing, (for both students and teachers), educational, and most importantly; fun. I can’t pick just one favorite Dr. Jean CD because I use them all! My very favorite Dr. Jean books are the Teaching Tunes Audio CD and Mini-Book Sets . These books come with a CD and reproducibles to make little books of her most popular songs that you can copy for your students to make and use in their browsing boxes or take home (my kids love theirs) or you can enlarge and color them so you have song books in your class library. Some of her other titles include: I Love Letters!, Transition Tips and Tricks , Transition Time: Let’s Do Something Different , Wonderful Rooms Where Children Can Bloom , and Ready, Set, Read! Best Of Dr Jean Series is now being offered, this series has great ideas from all of her fabulous workshops! Dr. Jean’s new book, I Love Letters! was just released April of 2009. This book has great ideas for teaching the letters to students in ways that are fun and meaningful.